Heartfelt Balance Handmade Life: Can You Create Photo Memories During a Time of Bereavement? Can You Create Photo Memories During a Time of Bereavement? In times of bereavement, the last thing a grieving family wants to think about is photographs that can later be posted to a website. In the moment, all minds are attuned to remembering the deceased loved one and not on capturing the moment. However, here are a few reasons this is a great time to take photographs or create a documentary. During funerals and memorial services, families often get to see relatives they have not seen in a long time. The occasion is sad, but memorial service attendees take the time to catch up on the details of each other's lives. 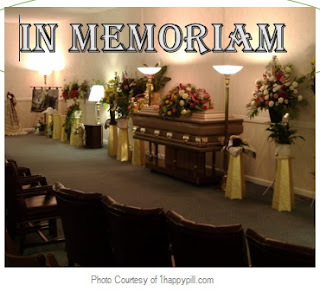 Although many do not recognize funerals as reunion opportunities, they do acknowledge that they reconnect with distant cousins who may live far away from the place where the occasion takes place. The passing of a loved one also makes attendees more focused on the things that are most important over the span of a life. Those who are not too full of grief are more emotionally prepared to speak candidly and authentically on video. This makes a funeral a perfect time to capture the most profound memories and words on film. When one thinks of family portraits or meaningful photographs that get passed down from generation to generation, it is easy to imagine carefully planning and posing for still shots. At funerals, most attendees are already dressed their best and ready for memorable photos. There has often been a slight stigma around taking photos of the deceased, but there is no rule that prevents photos of the living. The fact that so many people are present makes this the perfect time for group photos, but there is also a priceless opportunity to catch candid photos of individual people communing with the people they love. Funerals represent a prime time to talk to elder generations and recall family stories. Younger generations get to know their own history and connect with parents and grandparents around the things they have in common. There is also a chance to ensure the right names are attributed to the people in photos. Although many people might not consider funerals an ideal time or place for documentaries and photos, they provide optimal conditions to capture the things that are most important to families. Instead of seeing this only as a time of grief, more families could see this as a time to remember their own collective history and plant seeds for their own future.